The struggling Canadian handset maker has partnered with the Taiwan based electronics manufacturer. The latest headlines in BlackBerry technology news have revealed that the smartphone maker has now signed a strategic partnership with Foxconn that will last for the next five years. The purpose of the new contract is to have the devices created for fast growing markets such as Indonesia. This BlackBerry technology news has revealed one of the major steps that the company plans to take in order to turn around its current dire situation, as it looks toward the future. It is clear that it is looking toward new marketplaces, to make a greater impact in areas where growth is currently the fastest, such as Indonesia. The BlackBerry technology news has also shown that Foxconn will do some of the company’s manufacturing. 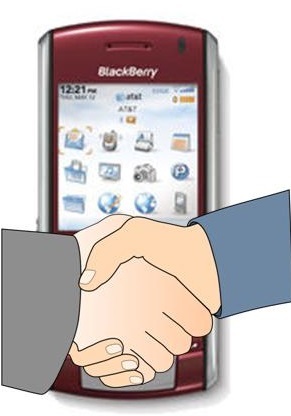 This five year contract will have Foxconn manufacturing BlackBerry branded mobile phones at a couple of its facilities that are located in Mexico and in Indonesia. This was revealed in a statement that was released at the end of last week. Although Foxconn may be making some of the devices that are being made, it BlackBerry will be holding onto all of its own intellectual property and will be providing product assurance on the devices that Foxconn has manufactured. Foxconn currently holds the notable title of being the largest manufacturer on the globe for electronic products. At the time of the writing of this article, no additional details and none of the terms of this partnership had been revealed. At the same time that this new partnership with Foxconn had been announced, it was also revealed another BlackBerry technology news headline that was far less promising for the company. In it was the statement of losses for the handset maker, which showed that in the third quarter of 2013, it lost 67 cents per share. Analysts had been predicting an average loss of only 46 cents, which shows that the reality was devastatingly worse than forecasts (which were compiled by Bloomberg). Throughout that quarter, the sales had been $1.19 billion, which was notably lower than predictions, which had seen the company bringing in $1.59 billion.